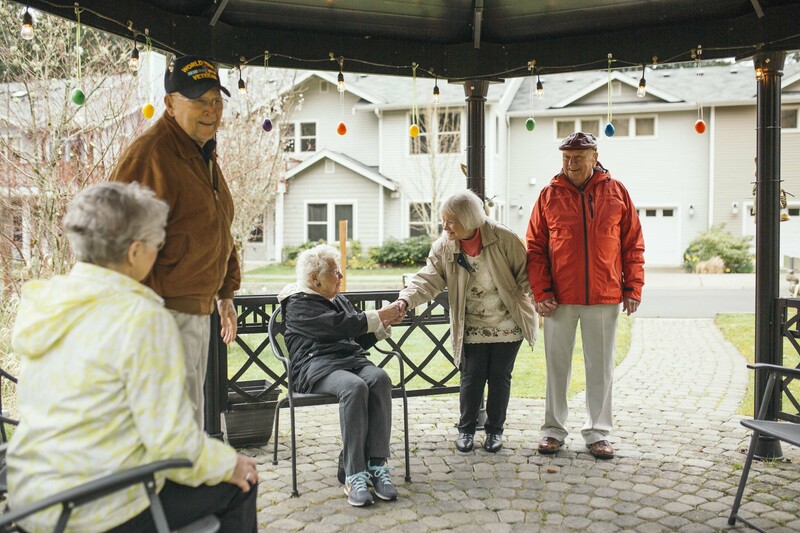 Retiring at Village Green with personal independence and freedom is a lifestyle choice made by many of our residents. They enjoy all the comforts of home in our cottages and our apartment homes. From our crafts, fitness center, computer room, planned outings to various destinations, you'll find Village Green a place where people laugh, chat, swim, sing, enjoy movies and gather over wonderful food. Our social events appeal to many different interests and offer so many opportunities for friends to enjoy time together. Cozy parlors with welcoming fireplaces, libraries full of books both classic and new, juice bars, and intimate dining experiences provide cozy getaways and areas to gather with friends and family. There are opportunities to explore the city of Federal Way and other nearby cities, attractions, restaurant outings and events. Day trips are planned so residents can enjoy such things as scenic bus tours, Mt. Rainer, Skagit Valley Tulip Festival, museums, symphonies, plays shopping trips and more. Life is as independent and full of activity or as quiet and relaxing as each resident wishes it to be. smiled when you come by.